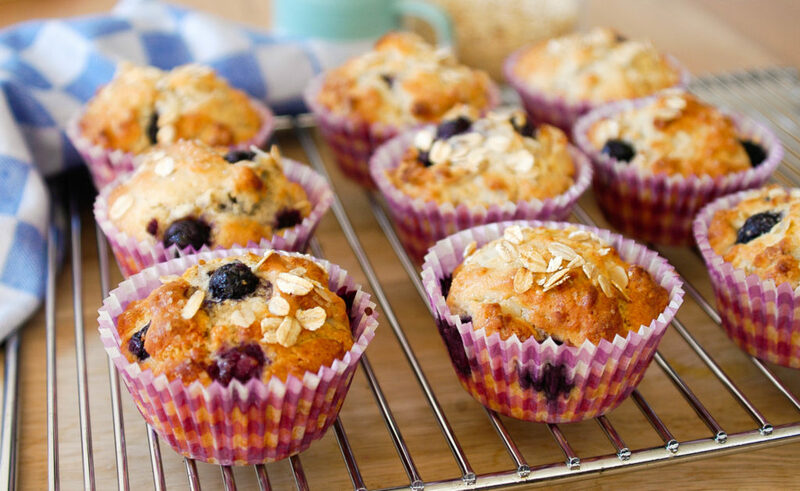 A healthier version of everyone’s favourite, these easy blueberry muffins are full of whole grains, yoghurt and fruit. Preheat oven to 180°C. 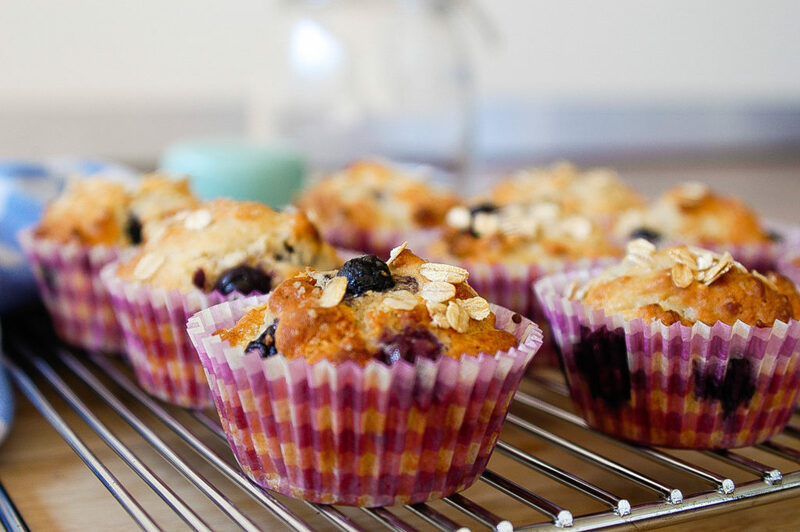 Line a 12-hole muffin pan with paper cases. Combine flours and sugar in a large bowl. Make a well in the centre and gently pour in eggs, canola oil and yoghurt. Mix well and then gradually incorporate flour and sugar, mixing until just combined. Then fold through oats and blueberries. Divide between muffin holes, filling to around 3/4 full. Bake for 20-25 minutes or until golden brown and cooked through when tested with a skewer. Want to see this recipe in action?